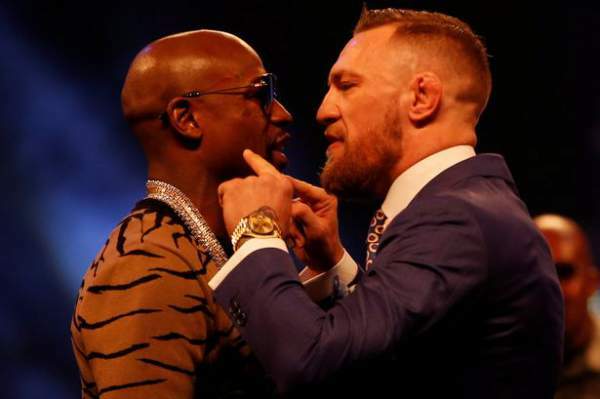 Mayweather vs McGregor Live Streaming: Here’s how to watch Conor McGregor vs Floyd Mayweather online, PPV time, complete fight card, and other details to know. The superfight is going to happen tonight in just some time. It will take place in Las Vegas and the MMA fans around the world are eagerly waiting for it. The fans of this sports are in billions and all of them wants to witness the enormous fight between the two topmost fighters. Are you ready for it? If you could make plans according to it, then too, no need to worry. It’s because we have got you a perfect guide to watch Mayweather vs McGregor live stream on August 26 (USA time). Here is everything including the PPV cost, TV Channels, start time, etc. According to schedule, the fight should start at 6 p.m. PT (9 p.m. ET, 2 a.m. Sunday UK) on Showtime Sports in the US and Sky Box Office in the UK. The odds for McGregor to win are 40/1. What are your bets? It will cost $89.99 for the American fans for standard definition (SD) and $99.99 for HD. The UK fans will have to pay £19.95 or €24.95 for Republic of Ireland customers. It is being notified that the telephone booking price will increase to £26.95 after midnight on Friday. However, the online purchase will remain at the same cost £19.95. The telephone bookings will revert back to normal pricing at 7 am next Sunday. More than four million fans paid to watch Mayweather v Pacquiao which took place back in 2014. But, looking at the trends, this particular fight will make those figures look dwarf in front of itself. For the UK fans and want to watch on Sky, they can purchase the fight via their box or online the telephone is 03442 410 888. People from the Republic of Ireland can call on 0818 220 225. If you want to watch the live stream of the fight, go for Sky Sports Box Office using PC / Desktop / Mac, Now TV box, iPhone, iPad, Android smartphone or tablet. You just need to simply signup for a new customer/user, then pay and watch. Just go to www.skysports.com/boxofficelive – create an account and pay. The customers of Virgin TV having a TiVo or Virgin TV V6 box, they can also watch Sky Sports Box Office online. It will cost them £19.95 for SD and £20.95 for HD. stream the fight through your computer, phone, Apple TV and many more streaming devices, including the Xbox One, Amazon Fire TV, Android phones or Roku. Sling notes the fight cannot be purchased on an Apple device but can be viewed on any device after it’s purchased. Dana White, the president of the UFC has already defended the decision of charging viewers about $100 to watch the fight. Defending his decision, he said that this is a super-fight where two guys from two different sports are putting it on the line. So, they can’t charge it same as a normal pay-per-view. The 2014 super fight ended up being the biggest fight ever in the history of PPV. Come back for Mayweather vs McGregor Live Streaming, score card, match result, full video highlights, and much more. What are your predictions and thoughts? Who do you think will win? Let’s know your views in comments. Previous articleDragon Ball Super Episode 105 Spoilers, Air Date and Promo [YouTube]: Will Roshi Risk His Life?